The Homeschool Buyers Co-op is pleased to present GroupBuy savings for Plato Learning COMPREHENSIVE online course packages from Edmentum, a leader in online education. Everything you need in ONE place! As Low As $149 for a full year! Or, Choose the Month-to-Month, Pay-As-You-Go Option, As Low As $14.95/month! Multiple Subjects, Multiple Grades -- ONE Low Price! Grades 5-8 - Your Middle School students are covered with American History, Math, English, Science, Writing, Civics, Geography, Vocabulary, and so much more. 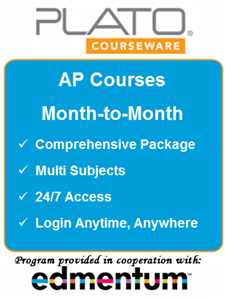 AP Course Package - Have an advanced learner? We have you covered... 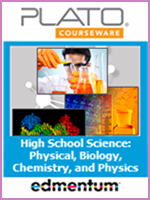 This package contains advanced courses for English Lit & Composition, Biology, Chemistry, Calculus, and U.S. History. *NEW* - 8-12th Grade package now offers a robust CTE Elective BONUS! You get an additional 16 COURSES! Enjoy titles like Game Development, Intro to Fashion Design, Web Technologies, Accounting, and more! Plato is designed to track the individual student's progress, so we recommend one subscription for each student's use. HOWEVER, you are free to allow more than one student in the SAME HOUSEHOLD to share your family's subscription access. Visit Edmentum's PLATO Courseware page. 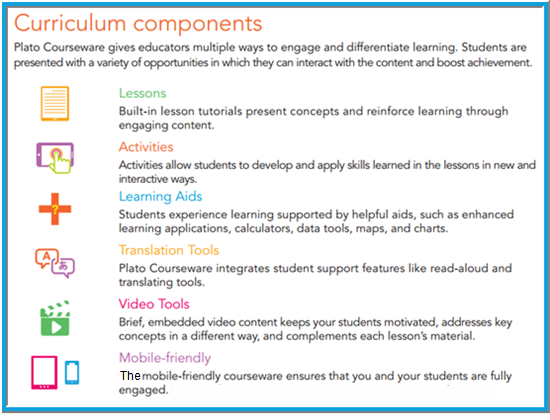 See Edmentum's Plato Courseware Overview. Watch a fellow homeschooler's review of Plato. Listen to a Math teacher's testimonial. Review System Requirements and run a SYSTEM CHECKER. Fulfillment: Please allow 5-7 business days after your order date for us to set up your subscription in the PLATO Courseware system. We will notify you via email when your subscription is ready. If you don't receive the email, just sign in to your Co-op account and look under "My Subscriptions" for a link and instructions. Returns/Cancellations: This product offers a 21-day refund option. Please see Terms & Conditions for more info. GRADES K-5 See above for full product description. This subscription gives one teacher and one student access to PLATO Learning Comprehensive K-5 curriculum for one month at a time. If you would like to order a month-to-month subscription for another student, please place a separate order. Enter a "1", as shown in the Qty space above. 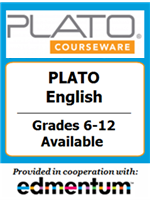 If you need PLATO Comprehensive for another student, please place another order separately. Month to Month Subscription: In order to make PLATO Learning Comprehensive affordable for more families, the Co-op is pleased to offer a month to month subscription. We will charge you for the first month on the date you place your order. However, as we will need a few days to get you set up, we won't charge you for the second month until one month plus 7 days has passed. That will be your "Monthly Anniversary Date" unless it falls on the 29th, 30th, or 31st of the month, in which case the 1st of the following month will be your Monthly Anniversary Date. Thereafter, we will charge your card on your Monthly Anniversary Date until you cancel. Every monthly charge is non-refundable. If you want to cancel, you must notify us AT LEAST 5 BUSINESS DAYS before your Monthly Anniversary Date. 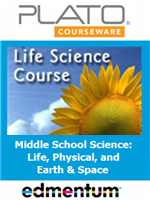 GRADES 5-8 See above for full product description. 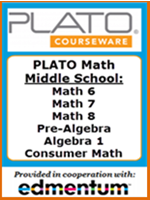 This subscription gives one teacher and one student access to PLATO Learning Comprehensive 5-8 curriculum for one month at a time. If you would like to order a month-to-month subscription for another student, please place a separate order. GRADES 8-12 See above for full product description. 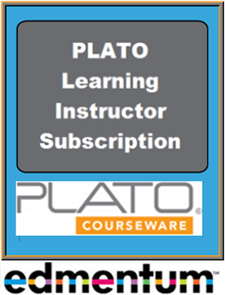 This subscription gives one teacher and one student access to PLATO Learning Comprehensive 8-12 curriculum for one month at a time. If you would like to order a month-to-month subscription for another student, please place a separate order. AP Package See above for full product description. This subscription gives one teacher and one student access to PLATO Learning Comprehensive Package AP curriculum for one month at a time. If you would like to order a month-to-month subscription for another student, please place a separate order. Enter a "1", as shown in the Qty space above. If you need PLATO Comprehensive AP for another student, please place another order separately. You will be provided step-by-step instructions on your Co-op account "My Subscriptions" page for accessing the Instructor Materials. Please enter your desired number of student seats in the above product selections.